For his role in the Provisional Government during the early stages of the Texas Revolution, Henry Smith is remembered as the first American governor of Texas. He is also remembered as having married three times (all sisters to each other), and as the father of nine children. Smith was born in Kentucky on May 20, 1788, but spent most of his youth in Missouri. In Texas, he settled in Brazoria in 1827. There he farmed, surveyed lands, and held the office of Alcalde of Brazoria. He fought and was severely wounded at the Battle of Velasco in 1832. He became a member of the Convention of 1833. At the Consultation in 1835, Smith was chosen governor of the Provisional Government. He was an outspoken advocate of independence for Texas. Because of his uncompromising approach, however, his leadership was of limited effectiveness at a time when Texas unity was needed most. 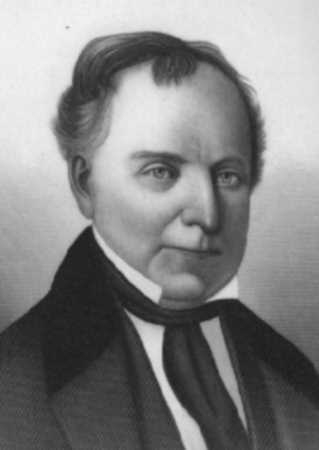 After Texas independence was won, Smith was appointed Secretary of Treasury in Sam Houston's first cabinet. Later, in 1840-41, he served in the Fifth Congress of the Republic before retirement to his land near Brazoria. While in his sixties, Smith followed the "forty-niners" gold rush to California. Plans for a return to Texas, however, were interrupted by his death in a mining camp in Los Angeles County on March 4, 1851.